Thanksgiving and football just go together just like any great combinations in history. 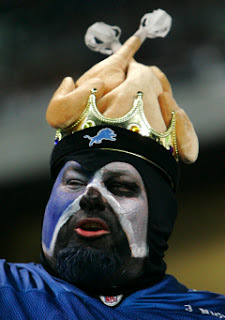 A key part of the tradition is the Detroit Lions, who have hosted games on Turkey Day since 1934. CBS will feature the Lions hosting the Houston Texans this Thanksgiving. And then on Sunday, most of the country will see Broncos-Chiefs with others seeing Bills-Colts, Steelers-Browns, Raiders-Bengals, Titans-Jaguars or Ravens-Chargers in the late slot. Continue reading for announcers and distribution.